The flavors can be combined. 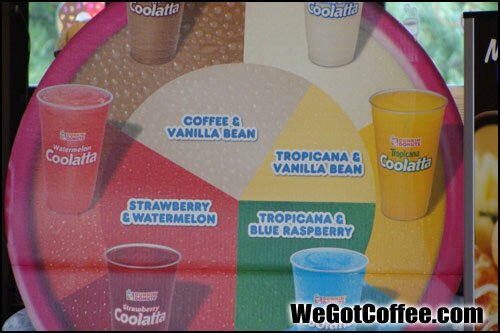 The photo of the menu lists Coffee, Vanilla Bean, ‘Tropicana’, Strawberry, Watermelon, Blue Raspberry. The Coffee and Vanilla Bean Coolatta is quite good.